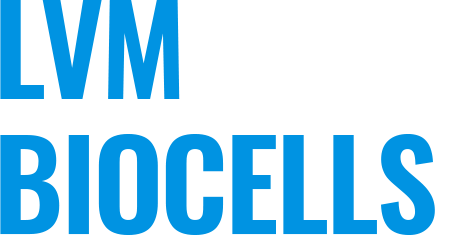 LVM-BIOcells is a project realized with the financial support of the European Union through its LIFE+ programme (agreement number LIFE08 ENV/B/000046). The project started in January 2010 with an initial duration of 5 years. The project has been extended with 3 years (until December 2017). This project wants to demonstrate the applicability of an innovative, cost-efficient and energy-efficient remediation technique for groundwater contaminated with CAHs for a site characterized by low natural groundwater flow velocities. 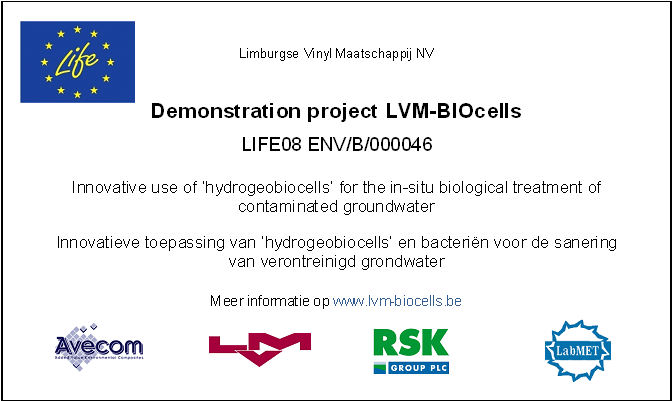 The project takes place at the VYNOVA site in Tessenderlo, Belgium, the former site of the Limburgse Vinyl Maatschappij (LVM). In August 2011 LVM was taken over by INEOS. In July 2015 the site was acquired by ICIG (International Chemical Investors Group) and became part of VYNOVA. The Layman's report and after-LIFE communication plan can be found on the publications page. Partners in the LVM-BIOcells project.